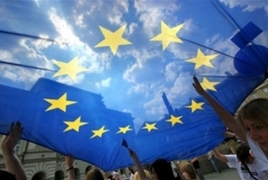 The EU also evacuated staff of its 20-member mission in Tripoli, Libya, Asharq AL-awsat reports. The staff and diplomats had arrived in Tunisia. The clashes between the forces of Khalifa Haftar’s Libyan National Army (LNA) and Fayez al-Sarraj’s Government of National Accord (GNA) intensified in Tripoli on Thursday with the death toll in the fighting reaching 56. The Islamist militias in Tripoli, meanwhile, prepared to hold a demonstration on Friday, April 12 in the hope to rally popular support. On the diplomatic front, Sarraj addressed a message to current Security Council president Germany's UN ambassador, Christoph Heusgen, to criticize the body’s failure to issue a resolution to condemn the LNA’s operation against Tripoli.